An international human rights watchdog has slammed the Pakistani government for deporting Afghan refugees and economic migrants. 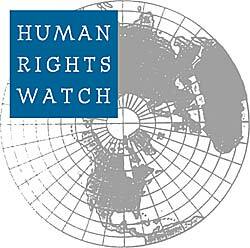 Hundreds of thousands of Afghans were forced to exit Pakistan last year in the “world’s largest unlawful mass forced return of refugees in recent times,” Human Rights Watch (HRW) said on Monday. In the second half of 2016, Pakistan “pushed out” nearly 365,000 of the country’s 1.5 million registered Afghan refugees, as well as just over 200,000 of the estimated one million undocumented Afghans in Pakistan, the rights group said. “These practices are tantamount to forcing people across the border… and that’s why we say it’s unlawful,” said the HRW’s senior researcher Patricia Gossman. Pakistani authorities have made clear in public statement that they want to see similar numbers return to Afghanistan in 2017, the rights group said. Aid workers and Afghan officials worry that the returnees are going back to a country in conflict and economic crisis, led by a government already struggling to maintain basic living standards. The rights group is also critical of the United Nations (UN) for what its investigators regard as a failure to ensure that Afghan refugees are truly returning voluntarily, as called for under international law. Ariane Rummery, a spokeswoman for the UN High Commissioner for Refugees (UNHCR), said the UN agency had documented policies by both governments in Pakistan and Afghanistan that contributed to the surge in returning refugees. “UNHCR does not promote returns to Afghanistan given the enduring conflict in different parts of the country and its limited absorption capacity,” she said. A meeting is scheduled this week between Afghan, Pakistani, and UN officials to set a framework for refugee policies.